There's good reason why so many families love to spend their vacation time in Central Florida. 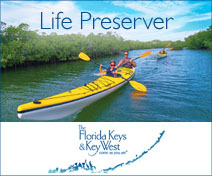 World-class theme parks provide awe-inspiring fun for the entire family, while nature provides a backdrop for activities found only in this region of the Sunshine State. 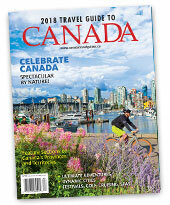 Revel in its mix of culture, attractions and outdoor gems as you embark on your family's vacation of a lifetime. Getting up before dawn is well worth it when you take in the sights of the theme parks and landscape from a hot-air balloon as the sun rises. 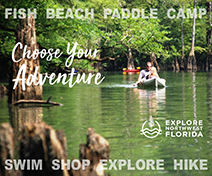 Then continue your morning exploring the natural beauty of "Old Florida" as you paddle through the head-waters of the Florida Everglades at The Paddling Center at Shingle Creek. Historic Downtown Kissimmee is the perfect place for lunch as quaint Kissimmee Main Street offers great dining options, antique shopping and even ice cream made with liquid nitrogen. Begin with a beverage from Barnie's Coffee Kitchen on Park Avenue in picturesque Winter Park. Take a Winter Park Scenic Boat tour through lush canals and peaceful lakes. Visit the Charles Hosmer Morse Museum of American Art to view the world's largest collection of works by Louis Comfort Tiffany. Lunch at East End Market in trendy Audubon Park. Stop to smell the roses at Harry P. Leu Gardens. Enjoy a cocktail at The Woods in downtown Orlando. 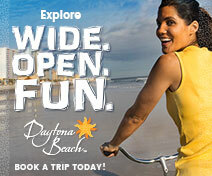 End with dinner at the French brasserie Dovecote and a performance at the Dr. Phillips Center for the Performing Arts. Stop and smell the orange blossoms as you begin a day of citrus delight. Polk County (VisitCentralFlorida.org) offers delicious options, October through May, as one of the top citrus- producing counties in Florida. Watch citrus candy being made at Davidson of Dundee and pick up some citrus souvenirs in the gift shop. Have lunch at Lang's Taste of Florida Cafe—don't miss the award-winning grapefruit pie. Complete your day with an authentic Florida experience, picking fresh oranges from the tree at Ridge Island Groves. Start with a sunrise cycle or walk along the Cypress Trail boardwalk at Highlands Hammock State Park. Golf the Citrus Golf Trail featuring Florida's most affordable courses. Stroll in charming Lake Placid with nearly 50 outdoor murals and small-town shops. Lunch at McLane's Garden Cafe in historic downtown Sebring, then browse through "City on a Circle" boutiques and artist galleries. Sample creative treats at the Sebring Soda & Ice Cream Works. Finish with dinner at trendy 18 East Main and a performance at the Alan Jay Wildstein Performing Arts Center. Known as the "Town of Murals," Lake Placid features nearly 50 colorful murals within its historic outdoor art gallery. This small, Old Florida town is also known for its American Clown Museum and School. Soak in the culture in nearby Avon Park at the Museum of Florida Art and Culture and the Alan Jay Wildstein Center for the Performing Arts, both on the Avon Park campus of South Florida State College. 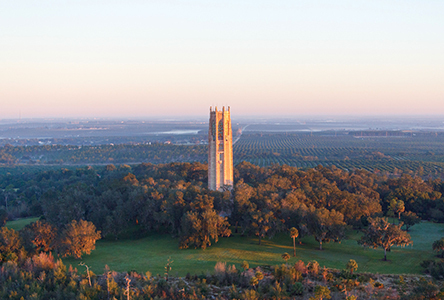 Located on Iron Mountain, Bok Tower Gardens in Lake Wales has been a fan favorite since 1929. Its 205-foot neo-Gothic and art deco "singing tower" houses one of the world's finest carillons, with 60 bells playing concerts daily. Tour Pinewood Estate, a 20-room Mediterranean-style home built in the 1930s, nestled among a spectacular collection of ferns, palms, camellias and magnolias. Follow the River of Stone-a mosaic pathway composed of more than 100,000 hand-selected pebbles-to the 2.7-acre hands-on Children's Garden, an outdoor kitchen and a farm-to-table edible garden. Who would guess the largest concentration of Frank Lloyd Wright designs in the world is in Lakeland, Florida? The legendary architect oversaw and designed the construction of 12 structures, including his only planetarium, on the campus of Florida Southern College. A 13th structure, the Usonian House, was completed in 2013. Based on an original 1939 design, the unique building is part of the new visitor center at the college. The City of Orlando is now home to the Dr. Phillips Center for the Performing Arts hosting Broadway shows, concerts and community events in the heart of downtown. North of downtown, the Orlando Museum of Art, the Orlando Science Center, Orlando Shakespeare Theater, Orlando Repertory Theatre and Mennello Museum of American Art are all conveniently located in the same culture complex, the 45-acre Loch Haven Park. Nearby, Harry P. Leu Gardens and Leu House Museum are part of a 50-acre botanical park created as gardens in 1936. Stroll pathways past 50 varieties of azaleas, 50 species of bamboo, 2,000 camellia plants and 50 kinds of citrus trees. The house, built in 1858, is open for daily tours. 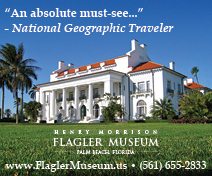 In artsy Winter Park, The Charles Hosmer Morse Museum of American Art is the world showcase for everything Tiffany with the most comprehensive collection of works by Louis Comfort Tiffany. For the oldest and most distinguished collections in Florida, the Cornell Fine Arts Museum at Rollins College is a must-see. A visit to historic Winter Garden is a step back in time. Once the bustling center of Central Florida and the largest citrus shipping point in the world, artifacts found around Lake Apopka indicate Native Americans inhabited the land for thousands of years, up until the colonization of Florida by Spanish explorers. The Garden Theatre, built in 1935, was restored to its true Mediterranean Revival style in 2008. For a fun way to enjoy culture, join the pedal-powered party through historic Sanford on a 15-passenger Limo Cycle. Sit a spell in a rocker on the porch overlooking beautiful Lake Dora at The Lakeside Inn in Mount Dora, circa 1883. Enjoy the quiet while sipping iced tea, just as past visitors Thomas Edison, Henry Ford and US Presidents Dwight D. Eisenhower and Calvin Coolidge have done. 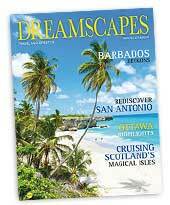 While Central Florida is widely known for its big three—Walt Disney World, Universal Orlando, which debuted its 28-acre new water park Volcano Bay in 2017, and SeaWorld (see our Theme Parks story in this issue)—there are many other attractions you want to experience on your next visit. In Lakeland, book a tour of the 260-acre Safari Wilderness Ranch and marvel at more than 450 exotic African and Asian animals. Nearby, you'll find the Water Ski Museum and Hall of Fame in Polk City. For an airboat ecotour, check out Wild Florida Airboat & Wildlife Park in Kenansville on Cypress Lake. Get an in-depth look at the 'gators, birds and eagles. Old Town in Kissimmee offers a Ferris wheel, a haunted house, themed restaurants, an arcade and shopping. For more rides and go-karts, head over to Fun Spot America-Kissimmee. The Showcase of Citrus in Clermont is a family-owned roadside citrus farm and cattle ranch at which families can pick grapefruits, lemons, tangerines and oranges. Don't forget the handcrafted creamsicles. At Clermont's Lakeridge Winery & Vineyards, kids and adults can take turns stomping grapes. The Crayola Experience in Orlando's Florida Mall is a family attraction offering 25 hands-on experiences. Or take part in the Grande Lakes Orlando catch-and-release fish program and help track data for the Florida Wildlife Commission. Orlando's International Drive is now home to the 25,000-square-foot SEA LIFE Orlando Aquarium, Madame Tussauds wax museum and the Coca-Cola Orlando Eye, a 400-foot-tall observation wheel. At nearby iFly Orlando, test your bravery at this indoor skydiving experience. Don't tell the kids, but at WonderWorks Indoor Amusement Park on International Drive, they can learn while having fun in this 35,000 square feet of edutainment. Fun Spot America, a family-owned theme park in the area, features multi-level go-karts, thrill rides, family rides and an arcade. (There is also a Kissimmee location.) Just north of downtown Orlando, the Orlando Science Center offers four stories of interactive, hands-on exhibits, an observatory, a cafe and the Dr. Phillips CineDome, a 300-seat theater for films and planetarium shows. Venture over to Black Hammock Adventures in Oviedo for airboat rides on Lake Jesup, home to the largest alligator population in Florida, estimated at 9,000. The Central Florida Zoo and Botanical Gardens in Sanford is home to more than 400 animals and the Barnyard Buddies Children's Zoo. Feed the giraffes then cool off in the Wharton-Smith Tropical Splash Ground. Near Ocala, a must visit in this region is the venerable Silver Springs State Park, Florida's first attraction, known for its famous glass-bottom boats. Whether nature-made or artificial, the Central Florida region is home to plenty of options for the family to cool off or explore. 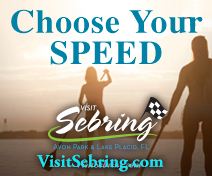 Sebring is home to 95 crystal-clear lakes and the Highlands Hammock State Park, one of Florida's oldest parks and a gem you must not miss. The park is renowned for its beautiful old-growth hammock and thousand-year-old oaks. You may catch a glimpse of a black bear and the Florida panther. An elevated boardwalk traverses cypress swamp where you may observe alligators, birds and other wildlife. 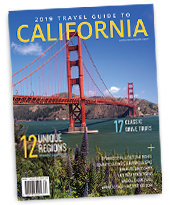 Cycle the scenic three-mile loop drive or hike the park's nine nature trails. Picnicking, birdwatching, catch-and-release fishing and ranger-guided tours are other popular activities and a fully accessible tram tour allows visitors to view wildlife relatively up close. Campers should check out the full-facility and the youth/group campgrounds. In Polk County, the Allen David Broussard Catfish Creek Preserve State Park covers more than 8,000 acres of scrub, sandhill and flatwoods land. Like fishing? In Osceola County, Lake Tohopekaliga, known as Lake Toho, covers 22,700 acres, spans 42 miles in circumference, and is a hotbed for bass. Take the family waterskiing, wakeboarding, wakeskating, wakesurfing and kneeboarding at the Orlando Watersports Complex. A short drive west, Lake Louisa in Clermont is the largest in a chain of 13 lakes and designated an Outstanding Florida Water Way. 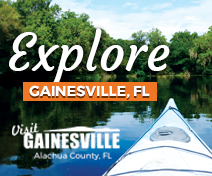 Grab a pole or canoe and relish in the beauty of Lake County. Excellent outdoor activities await north of Orlando, including the Lake Apopka Loop Trail, offering 15 miles of family biking where the odds of seeing a 'gator are fantastic. Want to tube down a crystal-clear river fed by natural springs? Located in Apopka, local favorite Rock Springs Run at Kelly Park offers swimming, hiking trails, picnicking and concessions. 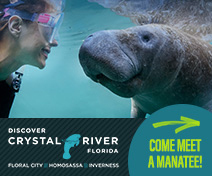 Visit Blue Spring State Park, home to hundreds of manatees, where the clear, 73-degree waters welcome swimmers, snorkelers and scuba divers. Picnic on the beach or stay the night at the campground. In the Ocala National Forest, the southernmost forest in the United States, dozens of campgrounds and 600 lakes, rivers and springs welcome visitors year-round. 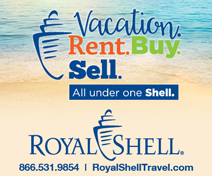 Florida is analogous to entertainment, whether that's in the form of sports, gambling or an energetic nightlife. For an adventure the family will never forget, point your wagon toward Westgate River Ranch Resort & Rodeo in Lake Wales. This authentic Florida cowboy-themed property hosts a championship rodeo with trick riding, bull riding, calf roping and barrel racing every Saturday night. Golf fans flock to Bay Hill Club & Lodge in March to see their favorite duffers at the Arnold Palmer Invitational. The month begins and ends with Major League Baseball's spring training, a staple in Central Florida for more than a century. Locally, cheer on the Detroit Tigers (Joker Marchant Stadium, Lakeland) and Atlanta Braves (Champion Stadium, Lake Buena Vista). A happening scene can always be found at both Disney Springs and Universal CityWalk, the latter of which will keep you jumping between Jimmy Buffett's Margaritaville and the Hard Rock Cafe. Disney Springs is home to the House of Blues and Planet Hollywood. On International Drive, try ICEBAR Orlando, the largest of its kind in the world. Enjoy a frosty beer or cocktail in a 22 F chill while sitting on ice blocks, then thaw out in the FIRE Lounge. Down the street, Kings Bowl Orlando boasts a chef-created menu and an innovative list of cocktails. The Outta Control Magic Comedy Dinner Show at WonderWorks presents comedy with your supper, while the Treasure Tavern Dinner Theatre features a cabaret dinner show suitable for adults only. Orlando's Camping World Stadium plays host to three year-end football bowl games: the Cure Bowl, the Russell Athletic Bowl and the Citrus Bowl. In January 2018, the stadium, formerly known as the Citrus Bowl, will host the National Football League's Pro Bowl. If you prefer soccer to American football, the Orlando City Soccer Club plays in the Major League Soccer (MLS) organization from March through October. Orlando is also home to the Orlando Magic of the National Basketball Association. Downtown Orlando offers a slew of clubs and bars where live music can be heard almost every night. Rock out at Backbooth, discover the blues at Tanqueray's or trip the light fantastic at Independent Bar. For a unique evening of dinner, drinks and dancing, board the Rivership Barbara-Lee in Sanford, an authentic sternwheeler paddlewheel ship, for a three-hour tour along Lake Monroe and the St. Johns River. And while there is little casino action in Central Florida, Ocala Poker and Jai Alai in Reddick hosts poker tournaments and live games, as well as simulcast wagering. 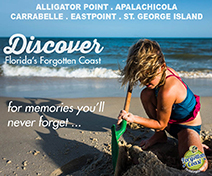 Take a break from the parking lots and embark on a scenic drive to experience some of Old Florida at its finest. The Ridge Scenic Highway travels more than 38 miles along the Lake Wales Ridge, through the historic communities of Sebring, Frostproof, Lake Wales, Dundee and Haines City. While in Lake Wales, be sure to visit Spook Hill, a natural phenomenon that gives the illusion that cars are coasting uphill. A drive west of Orlando to Clermont brings you to the Florida Citrus Tower built in 1956 on one of the highest hills in Florida's ridge section. An elevator ride to the top gives way to panoramic views of eight counties in Central Florida. In Sumter County, explore the 80-acre Dade Battlefield State Park, where on December 28, 1835, a Native American ambush started the Second Seminole War. There's a picnic area, playground and visitor's center. 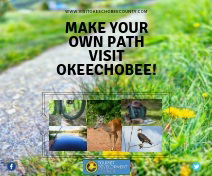 Look for the Green Mountain Scenic Byway near Lake Apopka that shows off the region's little-known rolling hills. Among the rural towns and villages, you'll pass by the historic moss-covered Sadler Oaks in the community of Tildenville. Ocala in Marion County is the center of the thoroughbred horse industry in Florida and beautiful rolling farmlands. Hop on the Florida Black Bear Scenic Byway, which travels through the heart of Central Florida to the Ocala National Forest. Look for springs, kayaking and fishing spots—you might even see the elusive Florida black bear. If you are looking for a taste of Florida, there are several outdoor markets selling fresh, local produce, preserves and products, including the Lakeland Downtown Farmers' Curb Market and Bartow Farmers' Market. For mall shopping in the area, hit the more than 70 shops at the Lakeland Square Mall. The Loop in Kissimmee is a popular outdoor mall, split into Loop East and Loop West, offering 30 retail outlets including Sunglass Hut and Old Navy. Stop for a cone at Ben & Jerry's or grab a bite in one of 10 eateries. Pointe Orlando, the lush landscaped, fresh-air destination near the Orange County Convention Center, is known for more upscale and specialty shops, such as Tommy Hilfiger and Victoria's Secret. Want big? Florida Mall in Orlando offers 1.9 million square feet of space and more than 250 stores to shop 'til you drop. The Mall at Millenia in Orlando has become a favorite of locals and visitors. This shopping mecca features some of the most stylish shops in all of Central Florida: Tiffany & Co., Gucci and Louis Vuitton, to name a few. The Orlando International Premium Outlets and Orlando Vineland Premium Outlets offer discounts in hundreds of brand-name stores. Park Avenue in Winter Park is the quintessential place to shop in Central Florida. Wander in and out of shops, such as Tuni, Siegel's Winter Park, Ten Thousand Villages and Charyli as you walk the brick-lined street. Nearby Winter Park Village features Pier One Imports, Owen Allen and Ulta. North of Orlando, Renninger's Antique Center & Farmers' & Flea Market in Mount Dora is worth the trip. The family-owned business, situated on 117 acres in the rolling hills of Lake County, features hundreds of vendors, as well as vintage car and garden shows. Nearby, ViaPort Florida in Leesburg features three dozen stores, while Paddock Mall in Ocala has 90 stores, anchored by Macy's, Sears, Belk and JC Penney. Explore the shops and boutiques on First Street in historic Sanford, once a major Central Florida hub. The town is also home to Seminole Town Square with six anchor stores including Burlington Coat Factory.